It looks like USB-C charging is here to stay. Acer's latest Chromebook, the Spin 11, takes aim at premium rivals like the Google PixelBook with features like USB-C connectivity and even a bundled stylus, but with a far more modest CPU and price. 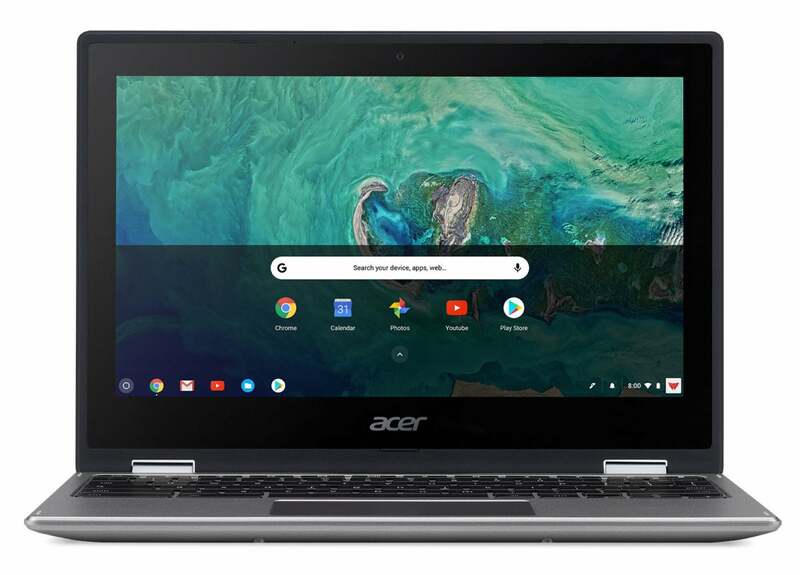 The 11.6-inch Acer ChromeBook Spin 11 convertible will be sold in North America beginning in March. The two models, the CP311-1H and the CP311-1HN, will be priced as low as $349, although exact pricing for both models wasn't immediately available. (That leaves out at least one model, as there are three CPU options listed.) 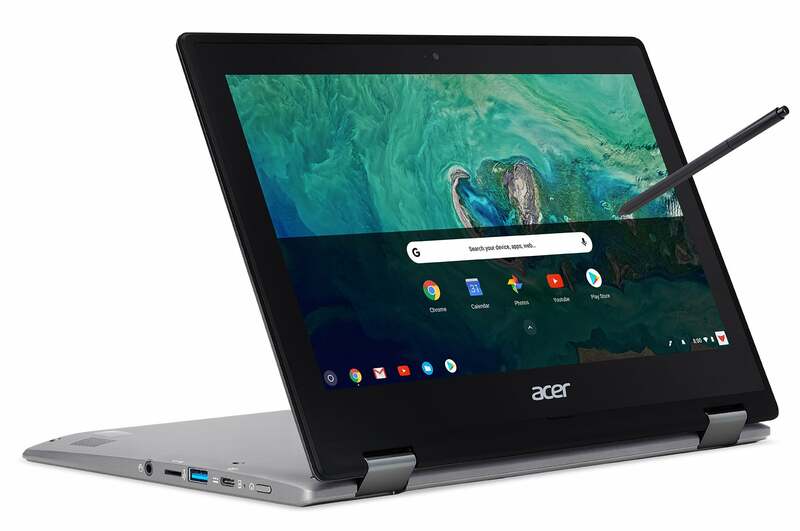 That's a bit more than Acer is asking for its more basic Chromebook 11 announced at CES, though you'll find a bit more under the hood. A Wacom stylus helps the Chromebook Spin 11 stand out from the crowd. The real bonus, though, is the Wacom EMR stylus, which comes standard on the CP311-1HN. It isn't clear how sensitive the stylus is, but given its lack of a battery we know it's passively powered. Only a few Chromebooks include a stylus: The Samsung Chromebook Pro we tried for Android apps, and the Google Pixelbook, which bundles a stylus as part of its $1,200 price tag. As a convertible, the Spin 11 supports a variety of form factors, including being bent backward into tent mode or flipped all the way around into a tablet configuration. 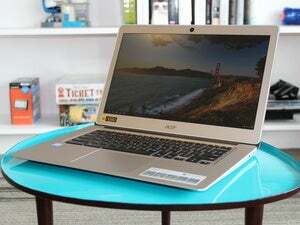 It's hard to say what the performance of this Chromebook will be like, though most signs are positive. Though the CPU is based upon the Intel's 2016 "Apollo Lake" Atom configuration, the optional 8GB of memory should go a long way toward alleviating any concerns you might have about web browsing. Of course, the Spin 11 supports the Google Play Store, allowing it to run Android apps on your Chromebook, with stylus support for those apps that include it. As we've reported previously, Google’s still working on making these apps more Chromebook-friendly, but Chromebooks are now more than simple showcases for Google Apps and the Chrome Web browser. 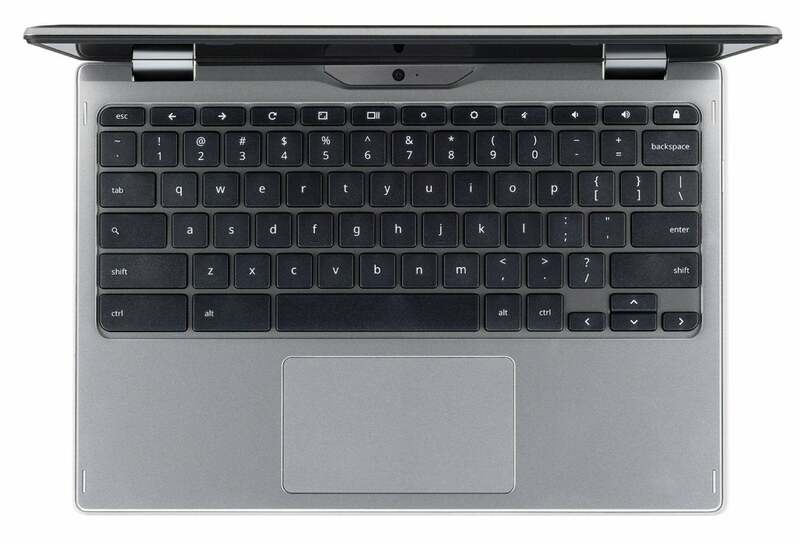 This is the second Acer Chromebook to include forward-looking USB-C charging. That, combined with the bundled stylus, should help this Chromebook stand out from the crowd.